Kenneth Jay Lane's idea for a jewelry line came into fruition after designing a pair of rhinestone-embellished pumps for Arnold Scaasi. 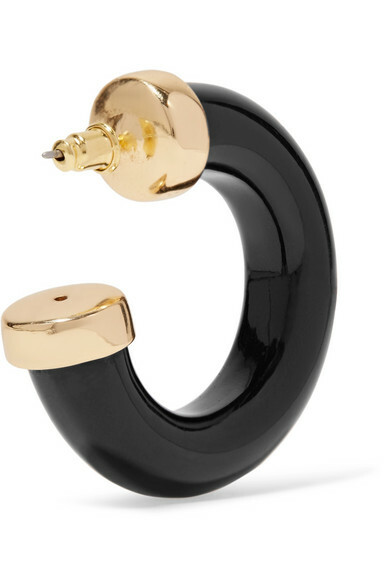 These lightweight earrings are made from glossy black resin with gold-plated tips at each end of the curved silhouette. 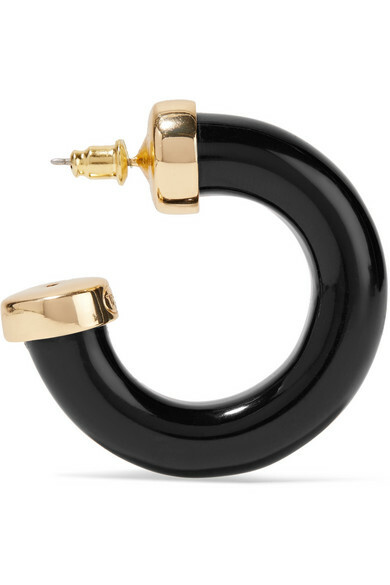 They are a unique alternative to classic hoops. Shown here with: Deitas Blouse.